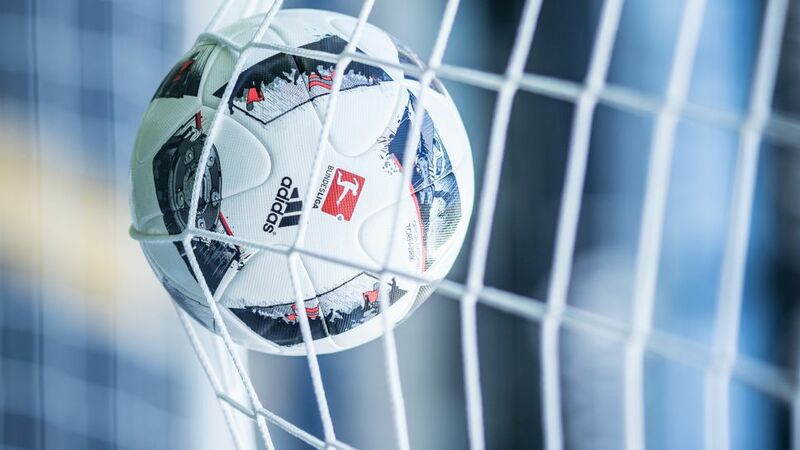 The 50,000th goal in 54 years of Bundesliga football is just around the corner. Since Friedhelm ‘Timo’ Konietzka gave Borussia Dortmund the lead in the first minute of their meeting with SV Werder Bremen at the Weser Stadium on the opening day of the newly-formed league on August 24, 1963, a further 49,998 goals have been scored. That makes one more goal to be scored until the landmark is reached, according to the official match data of the DFL (Deutsche Fußball Liga). Will Anthony Modeste score the 50,000th Bundesliga goal? Sign him up to your Official Fantasy Bundesliga team by clicking here! There are, of course, some explanations needed, particularly with regards to the method of counting (simple though it may seem). The total of 49,999 goals so far also contains some that are not listed in the relevant end-of-season tables. All in all there are 50; 41 of those goals came from DSC Arminia Bielefeld, who were relegated at the end of the 1971/1972 season after a scandal and who officially ended the season with no points as well as no goals in the statistics. Click here to download the free, official Bundesliga app! This also applies to matches where the results were re-assessed as a result of decisions made by the DFB’s legal panel. The game that was interrupted at 0-1 between 1. FC Kaiserslautern and Fortuna Düsseldorf on 27 November 1976 (ended 0-2 in favour of the visitors).The 2-0 win for Bayer 05 Uerdingen, which was changed from 5-2 for Eintracht Frankfurt because during the game on 22 May 1993 in Krefeld, Frankfurt had broken the then-valid regulations by using four foreign players.The correction of a 5-2 win for FC Bayern München in favour of a 2-0 win for Eintracht Frankfurt because on 13 April 1995 the visitors from Munich had illegally used four amateur players. Watch: Remember this Matchday 2 thriller between 1. FSV Mainz 05 and TSG 1899 Hoffenheim? Click here to 'like' the Bundesliga's official Facebook page! There was no difference to the number of goals and therefore no impact on the grand total of goals through two games which prematurely ended between Borussia Mönchengladbach and Werder Bremen in the 1970/1971 season (scoreline 1-1, ruling 0-2) and FC St. Pauli and FC Schalke 04 in the 2010/2011 season (scoreline and ruling 0-2 in each case). Incidentally, since goals were credited to the original scorers despite the subsequent adjustment of the result, Frankfurt's Anthony Yeboah finished as the Bundesliga’s top scorer in the 1992/1993 season, along with Ulf Kirsten of Bayer 04 Leverkusen, with 20 goals. Yeboah’s four goals against Uerdingen were not ruled out, despite the alteration to the result. In the case of matches replayed as a result of rulings in sporting courts or the abandonment of matches due to weather conditions, the first, non-evaluated encounters are logically discounted from the DFL’s goal statistics. This applied, for example, to FC Bayern's 2-1 win against 1. FC Nürnberg on on 23 April 1994, when Thomas Helmer scored a ‘phantom goal’. In that case, only Bayern’s 5-0 win in the replay on 3 May 1994 is included in the DFL’s counting method. Click right here for more Bundesliga news!